Winterfest 2017 will be held Sunday, Jan. 22, at Lolo Hot Springs. A full day of fun and games planned for this event. Get your team together for the skijoring (skier pulled by a snowmobile) contest, or for other fun games like the SnoMoxie a three-event competition consisting of a slalom run, giant slalom and cloverleaf run! Arctic Cat, Ski-Doo, Polaris and Yamaha dealers will be on hand with new models to show. 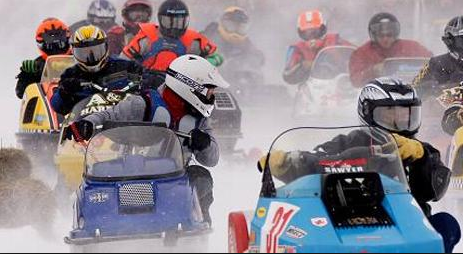 Plus, don’t miss the vintage snowmobile show. Snowmoxie is $15 for all three events. Skijoring is $10 per team (rider and skier). Entry fees are an additional $5 the day of event. Registration ends promptly at 8:30 a.m. on Jan. 22.